I’ve talked about how your legacy is more than money. On Father’s Day, I worked on a legacy. Food. Now, this isn’t a food blog and this isn’t a home blog. But, recipes and cooking techniques are some of the dearest things we get from our loved ones. And you will never have to fight your siblings for it. 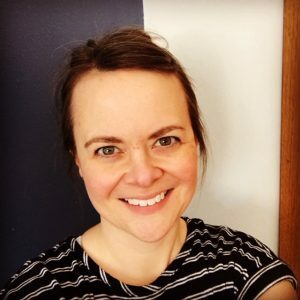 As a gift to my husband, I decided I would figure out one of our favorite side dishes, that he makes, that he learned from his mom… that she learned from her mom… and I’m sure that she learned from her mom, etc. etc. It’s amazing and I’m sharing it with you. 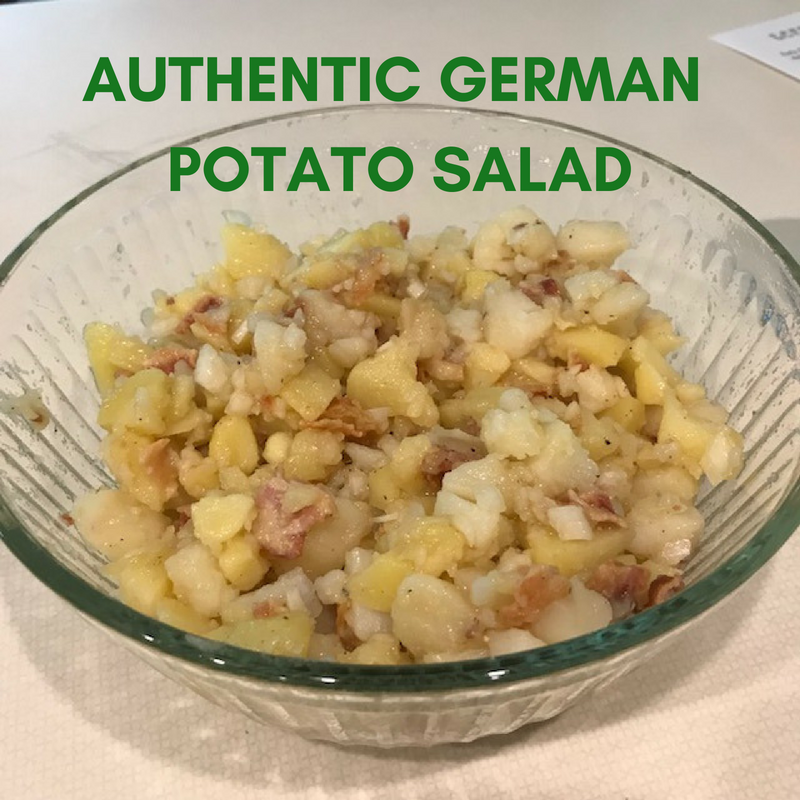 Authentic German Potato Salad. Just in time for summer, I learned the perfect side dish to sit outside at picnics and cookouts. This tastes SO MUCH BETTER than the standard mayonnaise/mustard version and won’t give you salmonella if it sits out for a few hours. Everyone who’s eaten it, heck just heard about it, has asked for the recipe. And, I’m sharing it. First, start with the potatoes. This is not the time for russets. Get something waxy that will hold together. Red potatoes or yukon potatoes (or in my case, both) work great. They’ll need to be peeled. Cooking first and pulling the skins off works much better for me. Cook up and crumble the bacon. Finely dice the onion. Now. The secret sauce. Oil and vinegar. Any vinegar will do, but apple cider is a solid, authentic, choice if you have it. But, what really makes it? 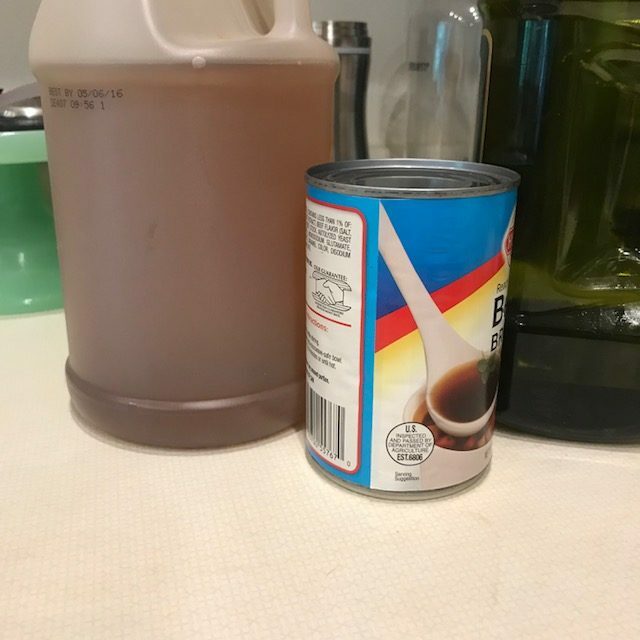 Beef broth. It makes boring potatoes flavorful and the dish substantial. Salt and pepper generously. I mean, at least double what you would think, because it’s potatoes. 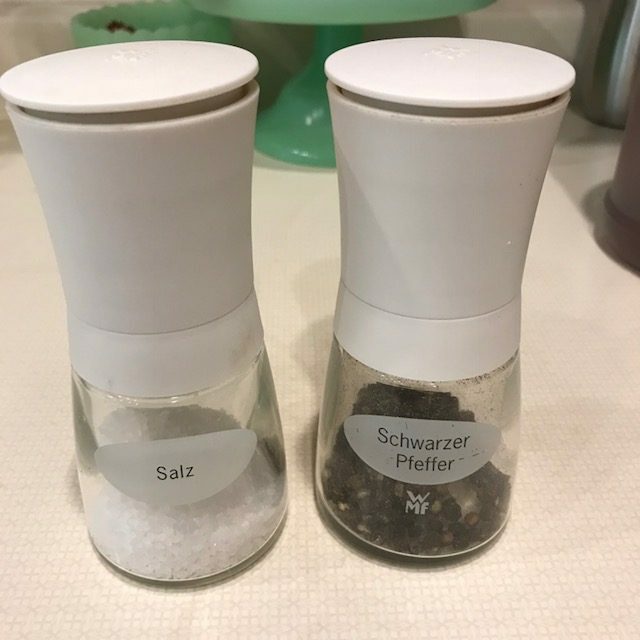 And yes, I have salt and pepper shakers that speak German. Toss and refrigerate for a couple of hours to let the potatoes soak up all the goodness and so the onions lose their edge. 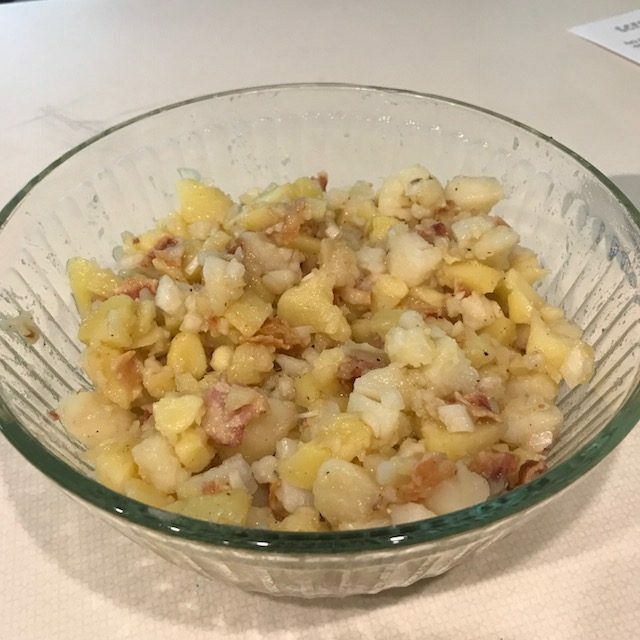 Authentic German Potato Salad. Perfect for summer, outdoor eating. You’re welcome. 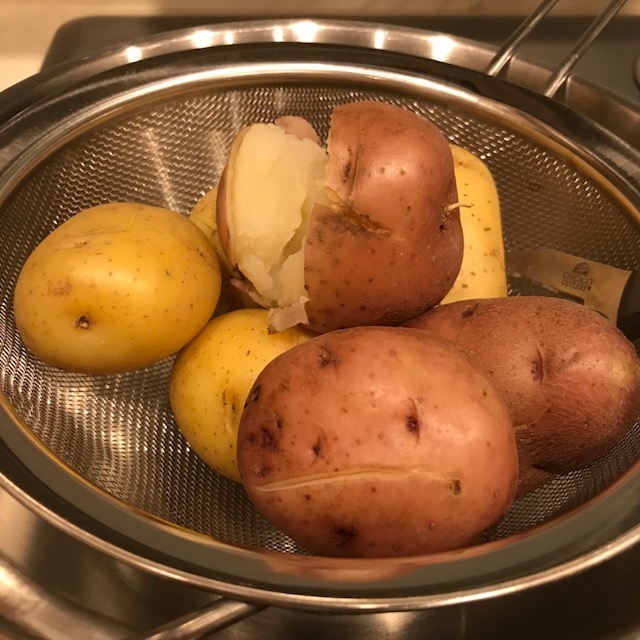 Boil potatoes until tender. While potatoes are boiling, cook bacon using your preferred method. Crumble once cooked. Finely dice an onion to produce approximately a 1/4 of a cup. Peel and roughly chop potatoes. Add bacon and onions. Add olive oil, vinegar, and beef broth. Liberally salt and pepper. Toss and refrigerate for at least an hour.